Should i, shouldnt i....but help. Hello everyone. This story is quite long so please bare with me. Basically, it all started in early Feb 2018. My husband and I were looking to move and found a little house. When we spoke to the landlord about the house, he stated to us that the previous tenant had an issue w/ bedbugs; however, he had been treating since September 2017 and it'd been clear of bugs. The landlord is also an exterminator in my small town so when he said it was clear of bugs, we believed him and stupidly moved in. We continued to move in and settle and unpack. Then, one night, my dog was laying on his bed in the living room and I told my husband we should go lay with him and pet on him a while and when we did, I saw a bed bug scurry off and I think I killed it. It was at that point that I started to realize that it wasn't just a few "coming out to die" and I took my flashlight and gave the house a really good check. THEY WERE EVERYWHERE. Every little spot on the wall that I thought was just like a nail hole was a bed bug, they were up my curtains and there were TONS of them in the window seal. I didn't see any (at that point) on my entertainment center or other items but they were just up and down the walls and in the windows.... The funny thing is, I don't know how we missed them b/c we cleaned the house before we moved in. So we call the landlord and he says we can have our deposit and rent back and he'll void the lease for us and we can move. He was really nice about it and even said we could put our packed items in a garage of his until we found a new place and he wouldn't charge us rent. So, we clean nearly everything and alcohol the heck out of it and get it to his garage. We didn't alcohol everything (about 90% I'd say) b/c we hadn't had a chance to even unpack the majority of it. During that time, the infestation was mostly in the living room and I found maybe 2 in each bedroom and laundry room, whereas, I was finding tons in the living room. We get all our stuff aside from necessities out and stay in the house until we can find another place to live in. Since our couch was in the living room, we decide to burn it. The landlord had a big property so he let us haul it to his house and we all 3 sat and burned it together. So then, we start talking and he knows my family so he felt comfy speaking w/ me and we get on the subject of the bugs. He's like "you all are the 2nd good tenants I've lost to this woman" (meaning the woman who brought them in) and goes on to tell us that the tenant who brought them in basically sat on the situation for over a year and when they moved, he went in and the house was literally flooded with them. He said there was a mattress in the living room and when he picked it up, a black swarm came scurrying off. LIKE WHY DIDN'T HE TELL US THAT?!?!? Gosh. The odd thing is, it seemed like the more we took out of the house, the less bugs we saw but we were VERY careful not to take them with us. So, 2 weeks later we move (it's early March 2018 by now) and all is well. We're settling in great and I think all is well. We've got new couches now and we had gotten used to sleeping in the living room together so as we settled, we just slept in the living room on the couches. So then, I'm cleaning and I shampoo the carpet. Now, mind you, I shampooed the first house with it but it's a heated shampooer so I thought there was no way any could be in there... I cleaned it out and found a few but they were dead as a doorknob so I just cleaned it real good and shampooed the hall (my dog had peed). In no time, I wake up with a bite.... then a few days later, I wake up with another bite. They looked and felt the same as before so I got worried. I flipped the couch and searched it, nothing.... looked on curtains and basically looked everywhere and didn't find a spec of a notion of a bed bug. No blood, no stains, no casings, no nothing. I thought maybe it was an ant so I told my husband but went on with it and thought if I keep getting them, I'll do something about it. So now, it's April 21 and for the past week or so, I've been getting eaten alive. Lines of bites on my thighs, arm, a few on my face and basically just like it was at the old house. Hubs hasn't gotten bitten once. Still haven't found one. The ONLY sign I found was one day, I found a super dried up and dead half of a bedbug (I'm nearly certain it wasn't a casing) in my silverware drawer but I thought it was from the old house. We've bagged up the sofa I was sleeping on and although it's a little better, I'm still waking up with new bites. From what I read, getting bitten every day would suggest a larger infestation, but I'm not seeing anything, smelling anything or anything... Hubs was getting eaten alive at the old house and now I'm the only one being bitten. I honestly was about to DIY heat treat the house room by room but after reading some posts, I'm not sure I want to due to the risks. I can't afford a $1200 heat treatment and the exterminator I called said it's either heat treat the house or throw away my couches and spray. I just spent a gob of money on my new couches.... I thought about steaming and seeing what that did but I just don't know anymore. I'm so tired and tired of itching and scared that this house is infested. Idk what to do at this point. 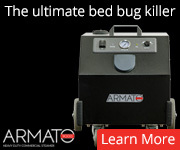 Do you live in an area where they have bed-bug sniffing dogs? I recently moved, am getting bites - but different from the sort I got back when I had an infestation at my old apartment. I hired a company that uses dogs to sniff out if there are really bed bugs so that I can figure out whether they really are in my apartment or if I have a different problem. 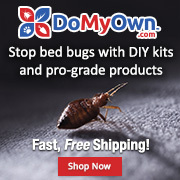 Alternatively, you can try buying Bedlam (a spray that seems to be pretty effective and has a residual effect) and CimeXa (crack/crevice dust that is very effective after bed bugs walk through it and kills them in a few days. Has static-cling properties. Kills the bugs by drying them out).. Dust a thin layer into your baseboards and between the mattress and box spring. It could help give you some peace of mind. Thanks! From what I've seen via research, there are no dogs near me. I live in a really small town unfortunately. I'll for sue check out the products you mentioned. Do you know if they're safe for my couches? I'm still thinking about steaming too. 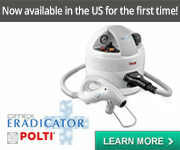 you're lucky enough to live in the u.s.a so you have tons of available products and tools so use them! 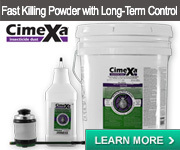 Yeah, Cimexa is great for cracks and crevices of couches. It's just drying if you get it on you. And right after you apply stay out of the room for a few hours because it's in the air. But it's supposed to be pretty effective, and besides the few hours after application when it's in the air it's really safe. Good luck! Thanks for your response! We did bring our furniture; however, we bought new couches as we worried that the main infestation was in the old couch. Do you know if it's safe for pets? I have 2 cats. I was actually thinking about using it and putting a line of it basically around the walls (baseboards) in each room and a line in each doorway. If I do that, it'll get on the cats feet. Wondering if it'd hurt them. My male cat has asthma. it's typically safe for pets, but not recommended for people with asthma. We put down DE (similar dust) and my cats rolled in the stuff on purpose. I don't think I'd use it with a cat that has breathing issues. Ideally you want to starve the bugs. They need meals to grow, and also to breed. Isolate the bed, use climb ups, ext. If you do this with cats in the house, they'll just feed on the cats. If you have a friend or family member that could keep your cats for a while, or can afford a boarding facility, I'd just get the cats out for now. 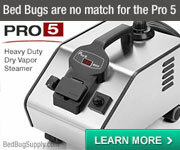 That opens up a lot more treatment options, and makes it a whole lot easier to starve the bugs. Starving them won't kill them, but it'll keep them from multiplying so quickly while you get a handle on things. 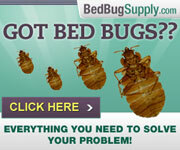 It's possible you moved bed bugs if your method was to spray things with alcohol. 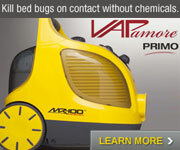 Rubbing alcohol only sprays bed bugs you can see and directly hit. 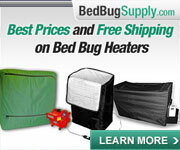 It does not kill bed bugs which are hiding inside of something, which is very much the bed bug M.O. However, before getting further treatment, be sure and get a positive ID.